The ME Blogger Campaign Was Successfully Completed On January 1st, 2009!!! Get ready… we are going to be updating this list on a “rolling” basis in June of 2011! moved Music Educators into the online collaborative world of “Web 2.0”. Click to jump directly to the completed list of ME Bloggers! Welcome to the page for all of the information related to our 100 ME Bloggers campaign! This page also contains links to a number of the related posts on MusTech.net about the 100 ME Bloggers! campaign. Want to know more about the campaign that started it all? Click it! You must agree to not “covet” all your materials and share many of them, freely, with the world so we all can gain from everyone’s expertise and experiences. Of course you are free to copyright your creative works and ideas as you see fit, afterall they’re yours! We are encouraging ME Bloggers to consider using a creative commons license (your pick!) to help them preserve their ideas while allowing others to access them in ways that the ME Bloggers see fit. Becoming a ME Blogger does not in anyway obligate you to give up an of your commercial venues or have everything on your blog “given away anything or everthing for free”. It simply means that you are blogging for the good of music education and that you are part of the global conversation about it! What we are NOT looking for in a ME bloggers is a blog that is specifically designed to sell products and/or services. 5th. Blog Submission Is Officially Closed For The 100 ME Bloggers! 1st. December 2008 Music Education Bloggers Named… Now, We’re Down to the wire! 3rd. Less Than Two Months To Go For The ME Blogger Campaign- Only 10 Spots Left! 5th. Attention All ME Bloggers -Join Our Online Article Journal! 1st. October ME Blogger Update!!! 26th. April Updates, ME Bloggers, MusTech 2.0 and More! 1st. New ME Bloggers (Music Education) Added for April 2008! 31st. Free NAXOS Online Music Subscriptions for ME Bloggers! 19th. ME Tips: Tutorial: Using Blogbridge As A Feedreader, RSS, OPML & More! 5th. 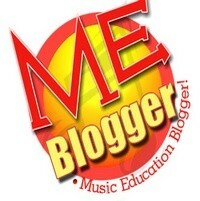 More Me Bloggers Added To Our Growing List of Music Education Bloggers! 29th. The 1st Official ME Blogger List! 28th. Annoucement: Getting Ready to Post The Official ME list! 22nd. Tutorial for adding the ME graphics to your Blogger Blog. 22nd. Changed some of the wording on this page and “softened” up the ME requirements to make it more accessible and friendly. 20th. Tutorial for adding the ME graphics to your WordPress Blog. Read All about it! 17th. Released New Graphics for ME Bloggers. Read All about it! 7th. 100 ME Blogger Campaign Launched. Read All about it! Note: Many of these blogs are still active, but a number of ME Bloggers have evolved to using Social Media as a viable alternative to continuing the Music Education Conversation(s) online. For more information about Music Education Social Networking please visit this article by Dr. Joseph Pisano and Andy Zweibel. The list if finished, the campaign is done! Congratulations to all selected to as Official ME Bloggers!